If you are renting the Smartphone or the iPhone 4 or the iPhone 6 you have the option of adding on and additional 5GB of 3G speed data to the 3GB already available on your plan. You will have a total of 8GB of data is more than enough for the vast majority of all travelers. Having a mobile data enabled phone is a great way to make the most out of your trip. Use Google Maps to see where you are and how to get to where you need to go. Find out if the bistro you want to go to has positive reviews and upload pictures and videos to Facebook or simply browse the web and check your emails. You no longer have to rely on free Wi Fi which is seldom available in France and is never a safe way to connect to the internet under any circumstance. If you rent a Standard Rental, you will not have data capabilities. *PLUS the price of one $39 credit bundle - 500 French/US outgoing minutes / 500 texts to French numbers and 1GB of data (data not available for flip phone). This bundle will be in your cart upon checkout and is necessary for your service to work. We offer several cell phone rental options for France, all of them with 1000 minutes of calls within France or back to the US and Canada. All incoming calls are free. The Standard Rental only offers calling and texting capabilities and no data. If you rent the Samsung Smartphone or the iPhone 4 or the iPhone 6, your rental will also include 3GB of high speed data. This is a lot of data and should suffice for most travelers. However, if you plan on streaming lots of videos or music or using GPS to navigate your way around France, you may need to add a 5GB data bundle to your rental. 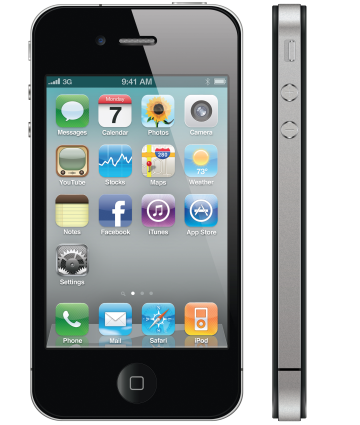 If you currently own an iPhone, we recommend renting the iPhone as you are already familiar with the interface. If you own an Android phone, we recommend renting the Android as, again, you are already accustomed to using Android phones. Please note that your cell phone rental will include the cost of one recharge voucher. This is what gives you the actual call and data credit for the service, which is valid for up to 30 days. If your trip is longer than 30 days, you will have to add an additional recharge voucher. All phones come with a French number, which, although it makes it convenient for the French locals to call you, it is less convenient and more expensive for your friends and family in North America to call you. The US number add-on, available during check out, adds a US based phone number to your rental phone. Please note that you will still retain your French phone number - you will just have two phone numbers on your phone. The US number feature is available for $19 and offers 6 hours of incoming calls to a US number. Each additional 6 hour bundle is $19. You can also forward your current number to the new US number allowing your contacts to call you on your usual phone number. The US number add-on is an exceptional value and eliminates the need for anyone to pay expensive roaming fees that North American providers charge for using their services abroad. Your Samsung or iPhone rental includes 3GB of data. If you need more, we offer an add-on of 5GB of data, also good for 30 days of service. Having 3G data at your fingertips is an extremely convenient way of having access to trip planning tools such as Google Maps, Trip Advisor, Skype as well as to be able to share your trip and communicate with friends and family. You can use your France rental phone anywhere within the EU with the same features as if you were using it in France. The only requirement is that you first start using your phone in France. How Do Cellular Abroad Rates For France Compare to Your Current Carrier? * AT&T, Verizon, Sprint and T-Mobile's rates exclude tax which is approximately 20% of the value. In addition, our solution is not a roaming solution and therefore is more reliable and faster. ** T-Mobile does not offer 3G speeds in France. Our cell phone rentals include a French SIM card, plug adapters and chargers as well as a return shipping label. The service is prepaid so you know exactly what you are paying. We also offer an optional insurance policy for your phone in the event that it becomes damaged or stolen. Since 2002, we have had over 200,000 customers and we can safely say that we know what we are doing. Ordering a rental phone for France is easy. Select the phone you want and the rental period. Add any additional plans or options you need. Please note that if your service exceeds 30 days you will need to order two additional recharge vouchers in order to retain your service. You can order online or speak to one of our expert advisors at 1-800-287-5072 and they can place the order for you. Time permitting, we deliver the Phone Rental 2 business days prior to you departure using UPS or FedEx. We can deliver the following day (except Sunday) for those with immediate departures. You will receive a fully charged rental phone, complete with a convenient travel pouch and international chargers and plug adapters and simple instructions including activation instructions. If you have any questions, please call us or email us. Your Phone Rental is ready to go. When you arrive in France, send a text message to activate your service and you are ready to go. Great to have a local phone number. I also added on the US phone number so that family could reach me without paying extra charges. Roaming with my usual carrier would have been more expensive but mostly, I was on vacation and didn't want anyone and everyone to be able to reach me. Changed the SIM card in my iPhone5 on the plane to France. Phone worked great as soon as we landed. Our friends were able to phone us using a French number. The data plan was very important as it let us use things like Google Maps when walking around. I used the phone just as I do at home. Have your friends call you using Skype, so their calls are cheap. Travel to France. I would consider Jailbreaking my iPhone in the future if you have one. The only problem is your US friends will have to call a French telephone number to reach you. Most liekly you cannot forward your US phone number. IF so it will cost a lot. The SIM card for France worked just fine, no problems at all. You get 1000 minutes of calling within France or within Europe or back to the USA and Canada. You will need to add an additional 30 days of service with your rental if your rental period is longer than 30 days. Please call Cellular Abroad for more information. You will get 3GB of data with the Deluxe and iPhone Rentals. Standard Rentals are not data compatible. If you need more than 3GB of data, you can add an additional 5GB of data. This is available during checkout. Do I need a data plan for texting? You don't need a data plan for text messages within France. We do not recommend that you text the United States unless you are using a texting app such as iMessage or Whatsapp and are renting a smartphone. Otherwise, text messages to the US are 15 cents per minute and you would need to add credit just to text. For texts to French numbers, your plan already includes 500 outgoing texts. Incoming texts from anywhere in the world are always free. The applicable rental period fee for the duration of your rental period plus one voucher.